Why am I doing this? What is the relevance of goal-setting for my future career in International Development?The answer to this is: everything! You have to create milestones to know if you are stepping into the right path. 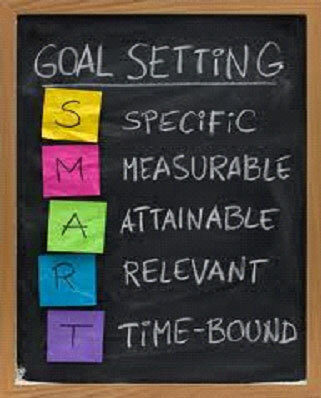 Goal-setting exercises can be a diagnostic for you’re the areas in your life that are in need of some extra work, but it also helps you keep track of your progress. Take some time to plan what you want from your life and with that the ways on how to get there become a little bit clearer. I know this one doesn’t sound like much fun, but bear with me. If you think about it, knowing that you’ve only got 6 months left on this earth could actually be fun. You have nothing left to lose now. You are not afraid to try new things anymore or fearful of failing at something new. You are not afraid to tell people how you feel. You have the courage to take risks and live the life that you have always wanted to. So what are you doing to do for the next 6 months? Decide quickly, because you don’t have much time left. What do you want to learn? Where do you want to go? What do you want to do? Who do you want to meet or spend time with? Make that list quickly because time’s running out and you need to go and live the life of your dreams today! Exercise Four – Congratulations! You won the lottery! Close your eyes for a moment and imagine that you’ve just checked your lottery ticket and you have the winning numbers. After you get over the initial shock, you realize that your life is about to change forever. Are you still sitting down? You should be jumping up and down with excitement by now. So how will you change your life from today? You’ve got all the money you need to make things happen in your life, so write down how your life is going to start changing from today. You don’t have to worry about bills coming, loan repayments or other payments. Picture this incredible wealth. Now, what are you going to do? How are you going to fill each day? The first one gives you an idea on your immediate goals and which areas of your life you have to start working on. The second exercise, “Long lost friend” gives you the answers to where you want to achieve in three years. Exercise three helps you to appreciate life and enables you to know when you are experiencing certain ‘feelings’. It gives you a point of reference for the future to feel that experience again. Exercise four “You won the lottery!”. This exercise indicates how you would like to spend your time and what you really want to do. Could you do more of this in your life? Could you even do this for a living? Just think it. If you do these exercises honestly, you will know your purpose, passions, needs and drivers. Go ahead and set your goals! A good way to finish these exercises is writing down a “Vision of your Ideal Life”. In this you should write the state of your career and finances, what you will be doing in your free time, how is your health and fitness and how you are contributing to the larger community. Previous story How to be better at your job search?